Warehouse personnel will never have to return to the office to verify bins or items inventory, saving time and effort. 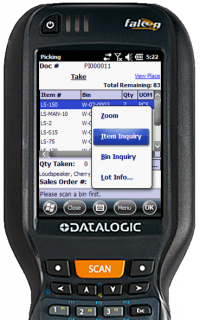 The inventory inquiry screen makes it easy for warehouse personnel to identify inventory items by barcode, reducing the occurrence of misplaced or mislabeled items. 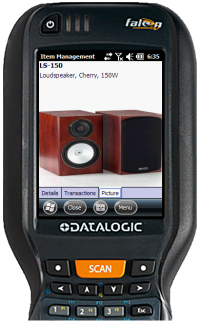 This enables users to conduct spot-checks of inventory on a regular basis. 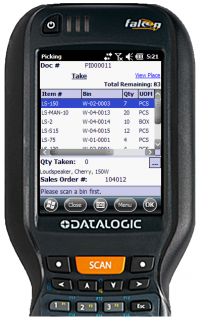 Users can scan (or enter) a barcode to retrieve inventory information for it, including bins, quantities, serial numbers, pictures, etc. as well as drill down to Item or Bin Inquiry for any screen in the system.